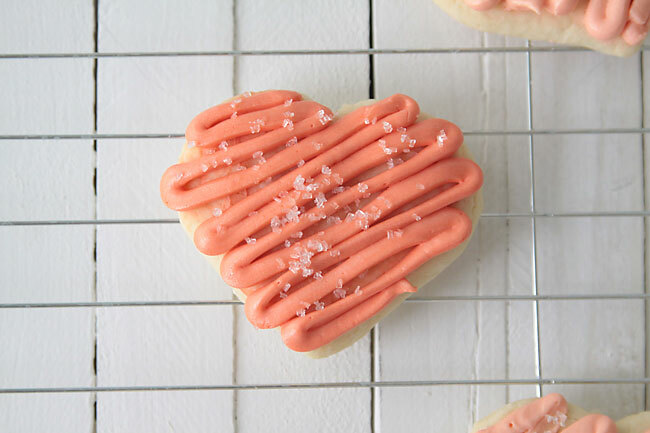 Sugar cookies are perfect for holidays – they’re so easy to customize to any theme and just about everyone likes them. But if you’re making dozens and dozens of cookies, frosting each one can take a long time, especially if you want them to look great. Over the years I’ve discovered a simple way to frost lots of cookies really quickly – I think it’s the easiest way to frost sugar cookies. Plus it looks great, too. The secret is to scoop your frosting into a ziplock bag, clip the corner, and then pipe the frosting onto each cookie. Since you don’t have to pick up each cookie, scoop up frosting, and spread it out with a knife, the piping process is a MUCH quicker way to get lots of cookies frosted. Start by snipping just a small hole in the corner of your bag and try out a “practice” cookie. If your hole is too small, you won’t get good coverage on the cookie and it will take too long. If the hole is too big, you’ll go through loads of frosting. Once you have the hole cut to the right size, just squeeze out frosting in a back and forth motion, filling up the cookie. After a couple of cookies you’ll get in the groove and be able to start moving pretty quickly. Be sure to lay out all your cookies on cookie sheets before you start to make things even quicker. I use a sandwich size ziplock bag and only put as much frosting in at a time as I can comfortably hold in one hand. Be sure to twist the bag or zip it closed to make sure you don’t end up with frosting squeezing out the top. When you run out of frosting, just pull the bag open and spoon more frosting in. I think it’s a good idea to always make extra frosting – everyone loves lots of frosting and it’s no fun to run out 3/4 of the way through your cookies. Depending on how big of a hole you cut in your “piping” bag, you may use a little more frosting with this technique, so just start with a batch and a half to be safe. For perfect sugar cookies, try my soft sugar cookies and cream cheese frosting recipe – it’s a winner, and you don’t have to refrigerate the dough before cooking. I clicked on the link for the frosting and it doesn’t give me it ..it goes over the tips for frosting the cookie and how to roll out the dough it doesn’t give either recipe. If you go to the link and read through the post there, she says that she put the recipe into an “index” recipe card type thing in a pdf so you can click on her word “here” and it will take you to the recipe. I missed it at first but wasn’t really focused on needing the recipe. Good luck! I clicked on the recipe card pdf link and nothing pops up. Would really like the recipes! Please try sending the link again. Thanks. The cookie ingredients list state 6T of “MIOK” is that milk, or am are you calling for some exotic ingredient I’ve never heard of before? 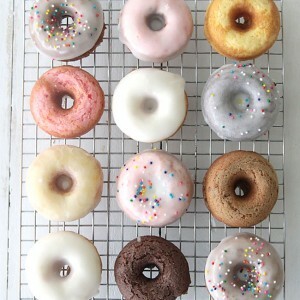 I hope not, because I a) like to think of myself as a reasonably seasoned baker and b) I want to make these today. Reading the whole recipe made it clear, sorry to be the wordy perfectionist. Thank you for the inspiration! I’m in the process of making these right now… my dough turned out sticky, and I wasn’t able to roll it, so I added an extra cup of flour. it was still too sticky, so right now I have the dough chilling in the fridge. any ideas as to why mine is sticky? My margarine wasn’t melted… it was barely softened actually. I’m not sure what I’m doing wrong.. or maybe my kitchen is just too warm? thanks! Sorry to be so late in getting back to you, Victoria. Did the cookies end up working out? I don’t know why they were so sticky – I’ve made them a gazillion times (in different temperatures and humidities) and never had that problem – did chilling the dough end up helping? dumb question but how many does this recipe make? and are the little t (t) for teaspoon and the big t (T) for tablespoon?? Not a dumb question! I always forget to put the yield on recipes. 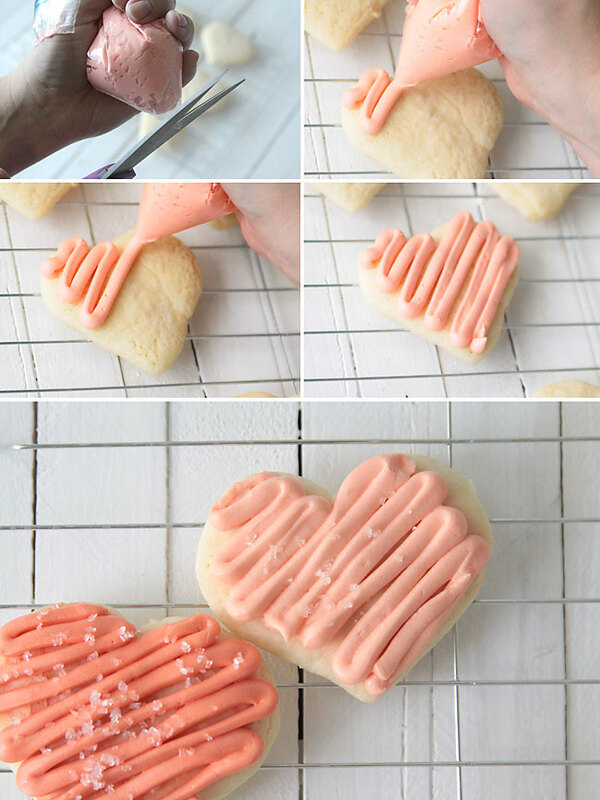 With sugar cookies it just totally depends on what size cookie cutter you use – but it’s a big batch. I usually end up cooking at least 4 cookie sheets full of cookies. And yes, the little t is teaspoon and big T is tablespoon! 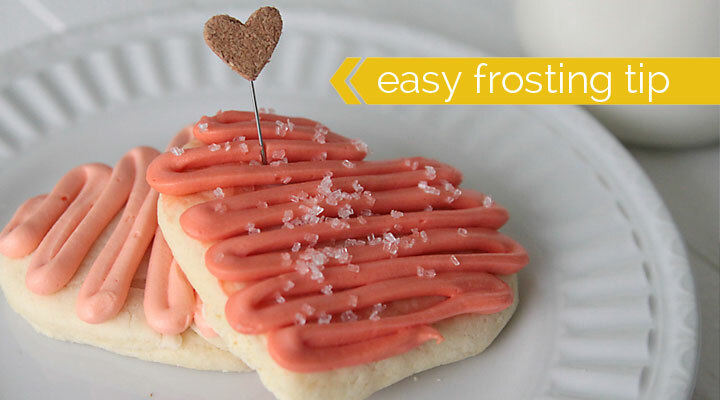 I agree, this is the fastest way to frost sugar cookies and the same with cupcakes. Piping frosting is so much faster and if you use disposable piping bags, a whole lot easier to clean up too! Does this frosting set up fairly well, so that after a day or so of letting it dry you could pack up a box of frosted cookies to mail? Or does it tend to stay soft and fairly gooshy? And oh, i LOVE the colors you chose for your display photo! 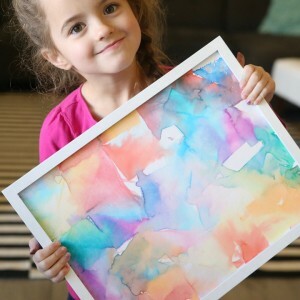 Very easy and pretty! I would like to make this as a hostess gift. Does the icing dry enough to stack these cookies in a container? Or does it stay wet? 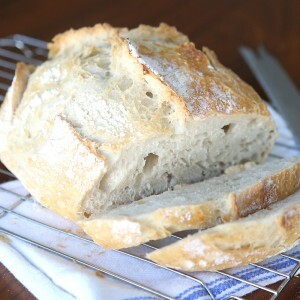 In my experience, in the winter (Christmas, Valentines Day) the air is cool and dry and the frosting “crusts”. The cookies can be packaged/stacked. However, if you are in an area that is really humid or if it is during the summer (July 4th cookies? ), it may not dry so well or so quickly. But I love this method! Do these cookies dry hard enough to stack after frosting? Also I assume that the on the recipe card the cookie recipe is on the left side and the frosting on the right side? Is that correct? Do I need to use margarine in the cookies or can I use butter? THANK YOU SO MUCH FOR THIS RECIPE!!! I have been looking for a GOOD roll-out sugar cookie that doesn’t require chilling the dough before rolling, for a very long time! 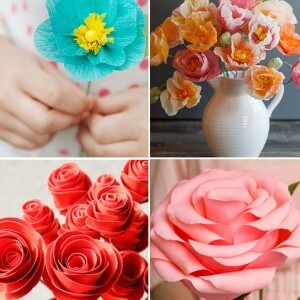 I can’t wait to make them for Easter with my grandson. They look delicious! Thank you again!! Love it! It’s a great idea that I will definitely try out!